This book offers unique insight into how to develop an elite program that can both improve players and win games. Filled with practical no-nonsense explanations, focused player drills, and more than 40 illustrated soccer templates, this book will help you - the modern coach - to create a coaching environment that will take your players to the next level. Understand how the concept of player development needs to change as players progress in the game. Examine how learning styles have changed and how coaches must adapt accordingly. Enhance your players' performance levels with innovative exercises and ways to share feedback and critical information. Includes chapters and exercises for developing Center Backs, Full Backs, Holding Midfielders, Attacking Midfielders, Wide Attackers, and Center Forwards. Learn how certain coaches can move their players from 'interested' to 'committed'. Develop ways to maximize the talent levels of your players. 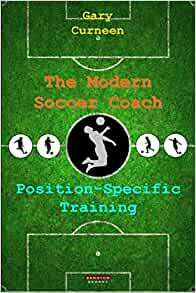 Start reading The Modern Soccer Coach: Position-Specific Training on your Kindle in under a minute. I mean no disrespect to the author in this review. Dedicating your life to the betterment of young people by any means is a worthy and noble cause. That being said, the very title of this book is contradicting. The information in this book is by no means how "modern soccer" is coached, at least outside of the United States. I would argue that this position specific, technical centric approach to coaching is what is crippling U.S. soccer. The author writes, "But we, as coaches, seem to get sidetracked with the other aspects of the player's game like how they fit into the tactical system of play, when we could be doing more to help them." Developing a player's understanding of a tactical system of play is getting sidetracked? This is exactly what we should be coaching through Rondos and progressive positional play exercises that develop the cognitive abilities of our players as well as their skill development. Isolated and/or position specific "drills" that have little contextual relationship to match conditions aren't developing our players' cognitive abilities because soccer is more than the sum of its technical parts. The author cites Cristiano Ronaldo's individual development at Manchester United as an example of how position-specific training can elevate a player's game. This example is misleading in that Ronaldo arrived at Manchester as an elite athlete. The training he received their only served to fine tune his skills. The youth soccer coach, assuming that is the target of this book, needs to focus on developing a team of players who recognize the multi-directional collection of angles and space and execute their game within that space at match speed. There is absolutely a need for individual skills development but much of that development will occur naturally within a cognitive approach to training. Again, no disrespect to this author but this is not modern coaching. This is the same technical centric approach to coaching that has kept the U.S. in the proverbial dark age of soccer development. I'll stop short of endorsing my chosen methodology but if you are a youth coach in the U.S. ready to make a paradigm shift, I urge you to do your research. 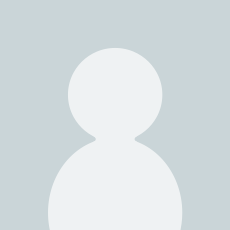 Search for Johan Cruyff, total soccer, geo cognitive soccer, Todd Beane. If you're genuinely devoted to developing your players to their full potential, you'll know it when you find it. Good luck. The future of U.S. soccer is waiting. Detailed insight on each position and what is required for the modern game with excellent training sessions for each position. I enjoyed the quotes from top players and managers in the game. And most importantly, explains how to bring all pillars of the game into each position. Technical, Tactical, Physical and, Mental. 5.0 out of 5 starsThe Modern Soccer Coach is a Must Read! Fantastic book! Gary breaks down the responsibilities and training needs of every position in a clear, concise manner. I highly recommend this book and Gary Curneen if you're a coach or player who wants to learn more about modern soccer training methods! The book every coach should have in their library. 5.0 out of 5 starsA coaching gem! Another coaching gem from Coach Curneen! This is book is a must have in every coach's library. Both new and experienced coaches will benefit from reading this and his previous book. Great soccer book for any coach who wants to take his team to a higher level. 5.0 out of 5 starsGreat for all soccer level teams and coaches. This book was great, I do 1-on-1 training as well as team. But this book gave me more ideas and spins to put on my current 1-on-1 training as well as implementing specific positional training within my teams. A "must buy" for any soccer coach. This book will help motivate and inspire!